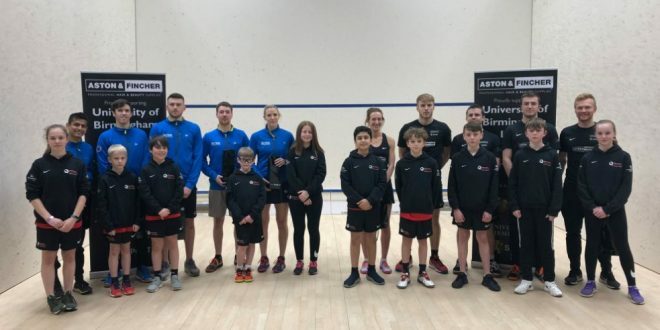 There were some quick wins and some tough battles in round four of the Premier Squash League, ans some significant gaps were opened up in both league tables. 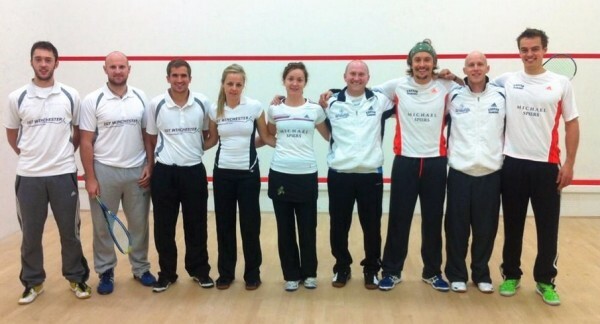 The other Yorkshire club, Chapel Allerton, were at home to Birmingham University. The first two games were shared but Shaun Le Roux and Chris Simpson took the second set of matches to put the home side 3-1 up. Ong Beng Hee rounded off a 4-1 result with an entertaining match “full of dives” against Peter Creed. Points: Duffield 74, Chapel A 48, Nottingham 46, Oxford 43, Pontefract 41, Birmingham 31. Surrey and Exeter, whose meeting last week finished well after midnight, both wrapped up their wins quickly, Surrey going 4-0 up at Bristol and Exeter doing the same at Winchester before the 9pm watershed. The crucial match between unbeaten Chichester and struggling St George’s was much closer. 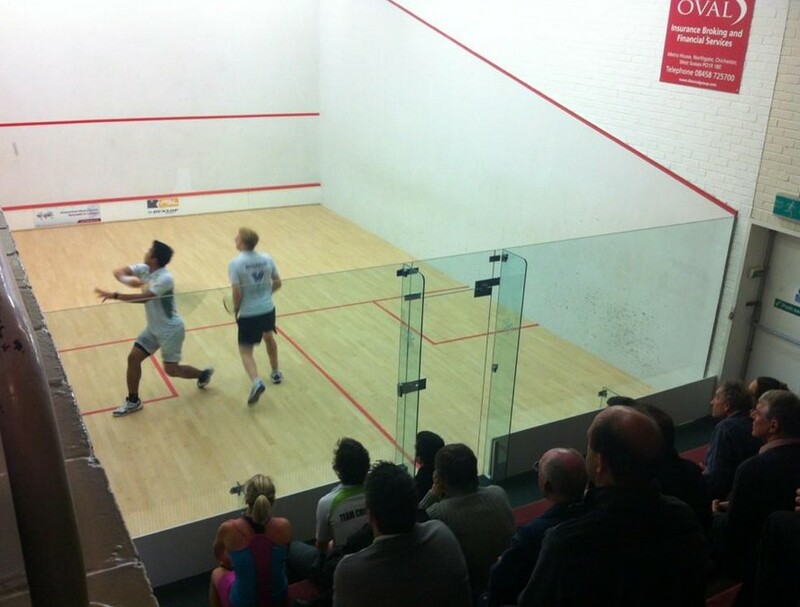 The first pair of matches were shared with Nafiizwan delighting the Chi fans with a 14/12 in the fifth win against Tom Richards. Anthony Graham put the home side 2-1 up, Robbie Temple secured the win, and Jon Kemp put the icing on the cake with a 3-2 win over Daryl Selby for 4-1. “The best game I’ve ever seen in 40 years of watching squash,” was how Chi manager Mike Phillips described Kemp’s 11-1 fifth game win. “Congratulations to Chichester, too good on the night,” tweeted St George’s manager Danny Lee.